1.The world’s first computer, called the Z1, was invented by Konrad Zuse in 1936. His next invention, the Z2 was finished in 1939 and was the first fully functioning electro-mechanical computer. 2.The first computer mouse was invented by Doug Engelbart in around 1964 and was made of wood. 3.The first banner advertising was used in 1994. 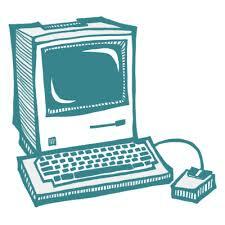 5.The first popular web browser was called Mosaic and was released in 1993. 6.A program named "Rother J" was the first computer virus to come into sight "in the wild" — that is, outside the single computer or lab where it was created. 7.The worst MS-DOS virus ever, Michelangelo (1991) attacked the boot sector of your hard drive and any floppy drive inserted into the computer, which caused the virus to spread rapidly. 8.A virus can not appear on your computer all by itself. You have to get it by sharing infected files or diskettes, or by downloading infected files from the Internet.